It is with great excitement that we invite you to the 2019 Airport Minority Advisory Council (AMAC) Annual Conference happening in Los Angeles, August 20-23, 2019. For 35 years, AMAC has brought together airport professionals, government representatives and business leaders from across all sectors for a premier opportunity to further their businesses and increase their knowledge of cutting-edge issues within the aviation and aerospace industries. 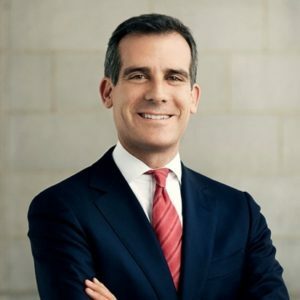 The City of Los Angeles and Los Angeles World Airports are proud to host the 2019 conference, which will include more than 1,000 individuals who are driving and shaping the airports of tomorrow. The theme of this year's conference is Transforming the Future of Airports. Airports across the country are amid mega construction projects, building new facilities and modernizing terminals. They are implementing new technologies, including for passenger screening, guest services and wayfinding to improve how guests navigate airports. And concession programs are becoming more innovative and exciting, providing guests with a range of new options. Now is the time to be part of this airport revolution. Women and minorities must be at the forefront of this physical and technological transformation - and AMAC is at the forefront of ensuring that inclusion. AMAC is the only national non-profit trade association dedicated to advancing the full participation of minorities and women in employment and contracting opportunities within the aviation and aerospace industries. This conference will include the latest information on airport construction, technology and concessions opportunities, and the robust, multi-day program of speakers, panels and how-to sessions will provide resources for those interested in working at and with airports across the United States. In Los Angeles, we are investing billions of dollars to modernize our airports inside and out - and as we do that, we are committed to ensuring that our partners reflect the diversity, ingenuity and greatness of our city. 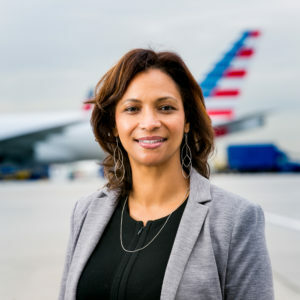 We know that other airports are committed to the same diversity in contracting and procurement, and AMAC's 35th Annual Airport Business Diversity Conference helps make these connections. We look forward to welcoming you to the 2019 Airport Business Diversity Conference that, like our airports, will reflect and advance diversity, creativity and success throughout the industry.